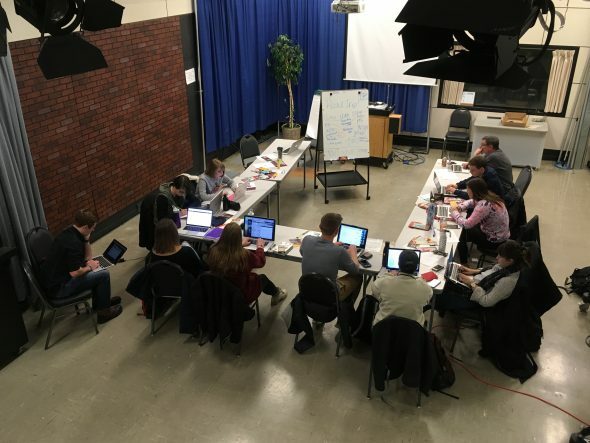 Students in the “Agency One-Nine-Nine” January Term course prepared a digital media campaign for the Des Moines Community Playhouse. The Des Moines Community Playhouse is taking the show on the road this summer, and Drake students are helping the nonprofit community theater group to spread the word. The Playhouse will host performances and educational programming off-site while undertaking major renovations on its historic building. The Playhouse’s main stage has been in the same location since 1953, so it’s no small task to ensure their patrons are aware of this break from routine. In a three-week January Term course called “Agency One-Nine-Nine,” Drake students operated as a digital media production agency, with the Des Moines Playhouse as their client. Ten Drake juniors and seniors, majoring in fields including advertising, digital media production, and graphic design, led a full digital media campaign from concept to completion. 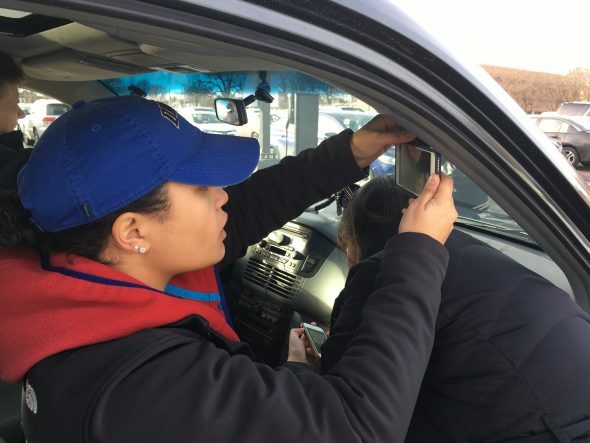 The students gained experience working for a real-world client, while the Playhouse was able to supplement the efforts of its marketing team and exercise its educational mission. Students met daily, working closely together and with the Playhouse staff to prepare social media and web content. The cornerstone of their campaign concept was a series of “Road Trip Karaoke”-style promotional videos, featuring Playhouse staff members and local radio personality Maxwell Schaeffer. A cornerstone of the students’ digital media campaign was a series of promo videos styled after “Road Trip Karaoke.” Students orchestrated a multi-camera video shoot, then edited the videos for final production. Ultimately, the Playhouse received creative materials it can use to engage audiences and enhance a reputation gleaned over the past century, Drake students gained skills that will benefit them throughout their careers.